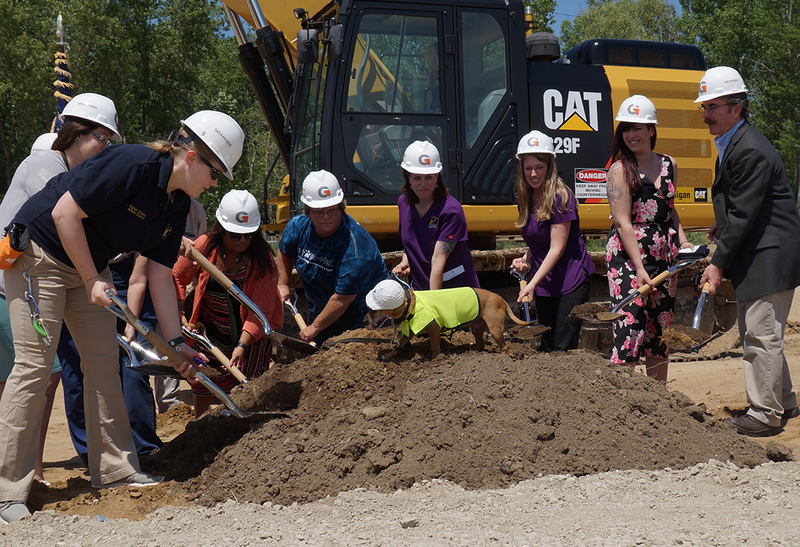 With help from Reo, an adopted rescue dog, representatives from Ingham County and Granger Construction recently celebrated breaking ground on the new Ingham County Animal Control Shelter in Mason, Michigan. Totaling about 16,000 square feet, the new facility will be about 1.5 times larger than the current shelter, and is being constructed at the north end of the Ingham County Sheriff/County Justice Complex. 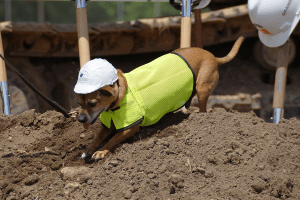 Ingham County’s new animal control shelter is scheduled for completion in Spring of 2019. Granger Construction is working closely with project designer Hobbs & Black and specialists from Animal Arts (from Denver, Colorado) to help the county achieve desired modernization for this facility. Ingham County residents overwhelmingly voiced support for this project during the 2016 election, when a majority voted to pass the Animal Control Millage. However, additional funding for the shelter continues to come from private donations through the Ingham County Animal Shelter Fund. These contributions will go towards funding veterinary resources, such as surgical and exam lights, anesthesia equipment, and x-ray facilities. Surplus funding may also be used to help provide additional animal amenities.